“The Secretary of State should be ashamed that she has been forced to come to the House again. Yesterday the Comptroller and Auditor General took the extraordinary step of writing an open letter to her pointing out that she had misrepresented the National Audit Office report on numerous occasions. He did so after she had failed to meet him, and she did not have the courtesy to do so before this point. The NAO report is damning of the Government’s flagship social security policy, but, instead of responding to its findings, the Secretary of State misled the House over them. The report said that universal credit is not meeting the aims set for it, and that currently there is no evidence that it ever will. Why and how did the Secretary of State come to say falsely—on two separate occasions in Parliament—that the report had said that the roll-out of universal credit should be speeded up, that the report was out of date as it did not take account of changes made by the Government in the Budget, and that universal credit was working? How can these statements be inadvertent slips of the tongue? “ensure that the programme does not expand before business-as-usual operations can cope with higher claimant volumes”. Has the Secretary of State ever read the NAO report? If she has, how can she have drawn the conclusions that she has? The Secretary of State has failed to apologise in relation to the other two key points made by the Comptroller and Auditor General in his letter. Will she now do so? If she misread the report so badly, this brings into question her competence and her judgment. 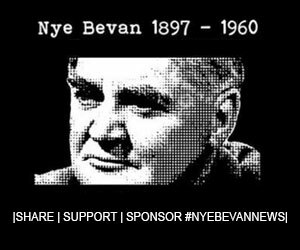 Next articleHow many British politicans wearing “NHS 70” badges also own interests in Privatised Healthcare?